Generators specify directed, random data creation. This means generators know how to create the given data type and how to shrink it. For Objective-C compatibility, generators are only allowed to produce Objective-C objects (id). All generators conform to the FOXGenerator protocol and are expected to return a lazy rose tree for consumption by the Fox runner. The power of generators are their composability. Shrinking is provided for free if you compose with Fox’s built-in generators. In fact, most of Fox’s built-in generators are composed on top of FOXChoose. Of course you can provide custom shrinking strategies as needed. (id<FOXRandom>, uint32_t) -> FOXRoseTree<U> where U is an Objective-C object. There are few special cases to this rule. For example, FOXAssert expects FOXRoseTree<FOXPropertyResult> which the FORForAll generator satisfies. For Haskell programmers, Fox is a decendant to Haskell’s QuickCheck 2. Generators are a monadic type which generation is done via the protocol and shrinking is specified by the returned lazy rose tree. For the list of all generators that Fox provides, read about Built-in Generators. You can see the reference for all the generators. Most common generators can be built from the provided mappers. Generators are just functions that accept a random number generator and a size hint as arguments and then return a rose tree of values. Rose trees sound fancy, but they’re generic trees with an arbitrary number of branches. Each node in the tree represents a value. Fox generators create rose trees instead of individual values. This allows the runner to shrink the value by traversing through the children of the tree. The children of each node represents a smaller value that its parent. Fox will walk depth-first through this tree when a test fails to shrink to the smallest value. This makes it more expensive to find larger integers (because of the redundant checking of zero), but it is generally more common to immediately shrink to the smallest value. This is significantly more complicated than composing generators, which is what you want the majority of the time. Composing existing generators will also provide shrinking for free. This section assumes knowledge functional programming concepts. It’s worth reading up on function composition, map/reduce, recursion, and lazy computation. It is worth reading up on How Shrinking Works if you haven’t already. Let’s write a custom integer generator that shrinks to 10 instead of zero. We won’t be using anything built on top of FOXChoose for demonstrative purposes, but we will be using Fox’s Debugging Functions. For the sake of brevity, we’ll ignore the problem of maximum storage of integers, but when writing your generators this matters. FOXGenerate is an easy way to create a generator without having to create an object that conforms to FOXGenerator. The block is the method body of the one method that the protocol requires. // FOXSample generates 10 random values using the given generator. // FOXSampleShrinking takes the first 10 values of the rose tree. // shrinking values from the first one. Of course, we don’t properly handle shrinking for all variations. FOXSequence is a port of Clojure’s sequence abstraction. They provide opt-in laziness for Fox’s rose tree. Shrink towards 10 by 50% of its current value. 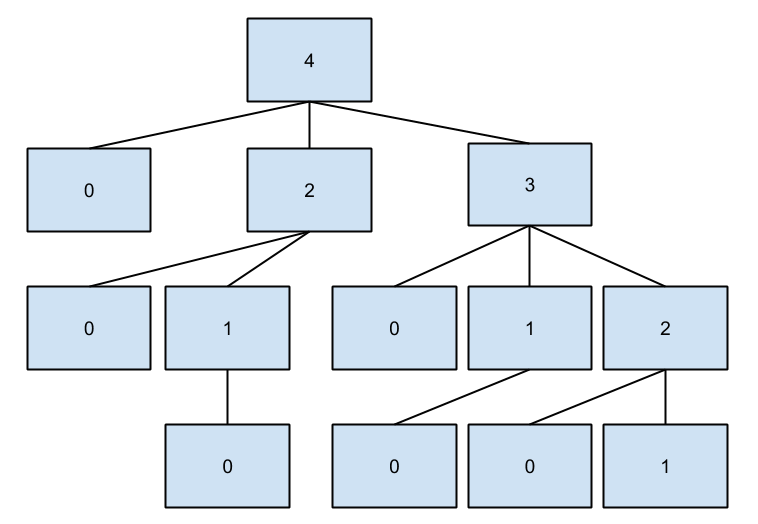 Shrink towards 10 by 1.
sequenceOfSmallerIntegers creates a rose tree for a given number. The children are values from sequenceOfSmallerIntegers(n). The rose tree is recursively generated until sequenceOfSmallerIntegers returns an empty sequence (when the number is 10). Now we can generate values that shrink to 10! Obviously, this can be applied to more interesting shrinking strategies.